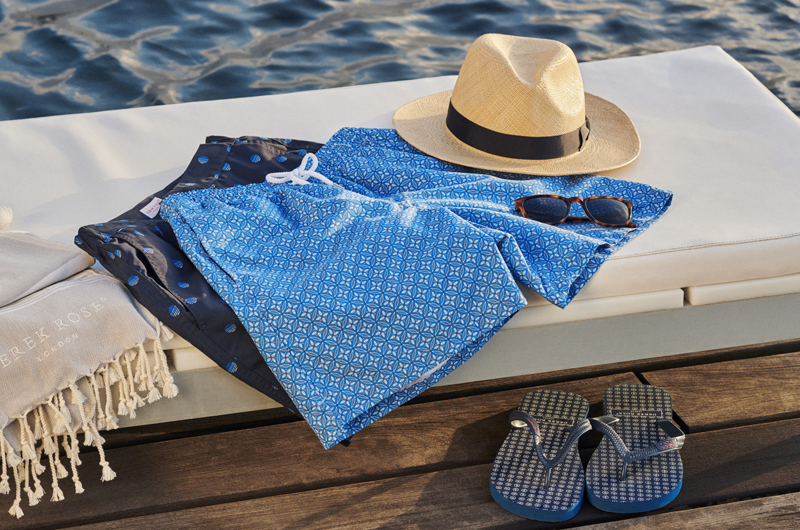 Sure to be a favorite in your wardrobe for years to come, our Ranga 31 brushed cotton fabric showcases a big and bold navy, blue and white check on a beautifully soft base. Ideal for the cooler months, this modern classic will last the years. 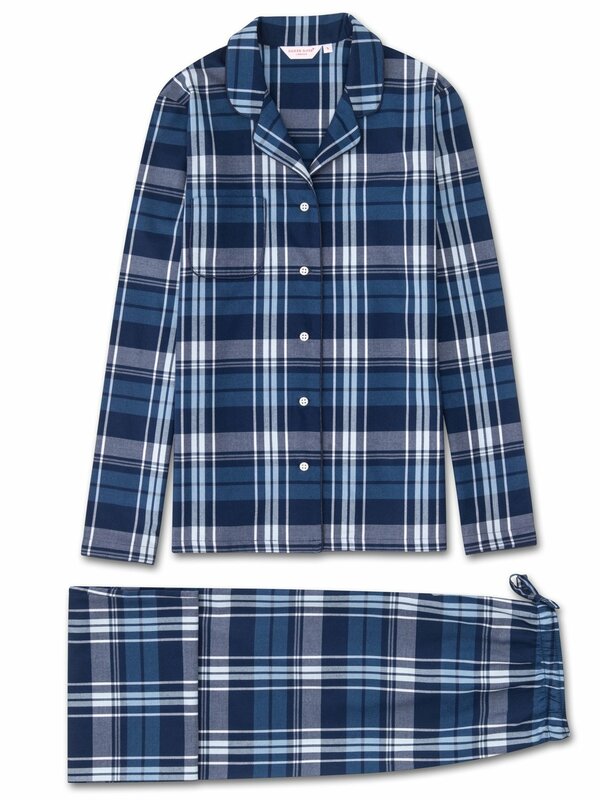 Trust us, you'll want to stay wrapped up in these pajamas all weekend! Crafted from a medium-weight brushed cotton, the Ranga 31 utilises a unique brushing technique to comb and soften the fibers for an extraordinarily soft handle making this PJ set a dream to sleep or lounge in. The jacket features a fully piped finish in a navy trim, a single patch pocket and mother of pearl buttons. The quality of craftsmanship continues with the pants and their elasticated waist with self fabric drawstrings for added comfort.